Starting at Tokyo’s Ginga Gekijō theater, the Studio Ghibli film, Only Yesterday, will premiere as a stage musical starting April 16, 2011 and continuing until April 29, 2011. The stage adaptation will star Hikaru Asami as Taeko during the musical’s Tokyo run, with Keaki Mori playing Taeko’s mother. Tamiya Kuriyama will be behind the director’s chair, and Masato Kai is in charge of the musical’s soundtrack. There are additional plans to take it out of Tokyo, with a performance in Semboku City before embarking upon a national tour April of 2012. 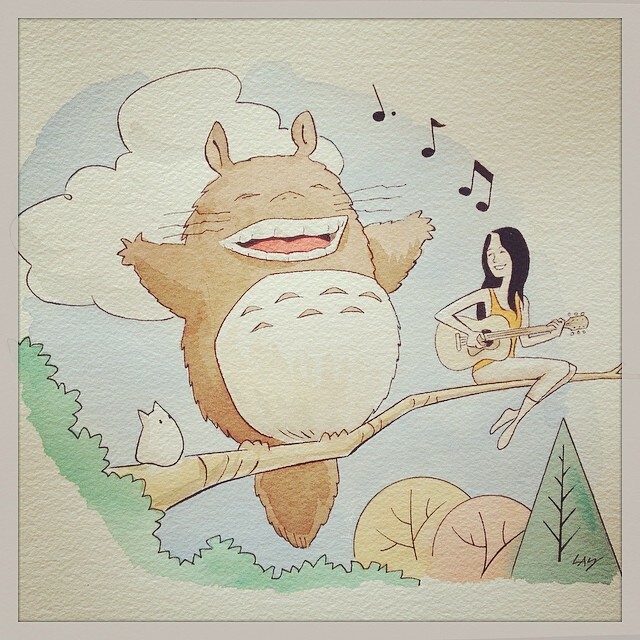 Azumi Inoue, best known for singing the ending songs to a variety of Studio Ghibli movies such as “Carrying You” from Laputa: Castle in the Sky and “My Neighbor Totoro,” the theme song to the anime of the same name, has released a vocal album that focuses entirely on songs from Ghibli’s movies. The album, titled Ghibli Meikyoku Selection~Dear Ghibli, includes the work she’s done as well as covers of other artists’ works such as Fujimaki Fujioka and Nozomi Ohashi’s duet in Ponyo’s ending theme song and Youmi Kimura’s “Itsumo Nandodemo” from Spirited Away. Samples have been listed on the album page at HearJapan for those interested in seeing what she has to offer.